James Goldston has been tapped as the next president of ABC News. 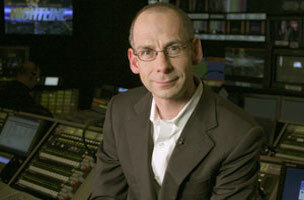 Goldston has been with ABC News since 2004, when he joined as a senior producer. He most recently served as senior VP for content and development, since 2012. Goldston will now oversee all editorial and business decisions in ABC’s News Division, which includes all ABC News programs on ABC, ABC News Radio and abcnews.com. He succeeds Ben Sherwood, who was recently promoted to co-president of the Disney/ABC Television Group. Sherwood’s full memo is below. As my partner these past three years, James Goldston has helped lead ABC News to new heights. An award-winning journalist, masterful programmer, and innovative businessman, James has helped steer ABC News in moments of triumph and adversity. And I’m delighted to announce that he will be the next President of ABC News. When I offered James the job, he expressed heartfelt gratitude to the people of ABC News, tremendous excitement about the future, and a commitment to nurturing the boldness, creativity, enterprise and fighting spirit that define our division. In his view and mine, path-breaking journalism and innovative storytelling are the rocket fuel of ABC News. James embarked on his journey to America a decade ago, but his grandfather’s depression era visit to these shores set the story in motion. To support his family, Stanley Goldston came to America on a boat in the early 30′s, rode the rails in search of work and found a job in the citrus fields of Los Gatos, California. He returned to England some years later with enough money to support his family through hard times. James joined ABC News in 2004 after leading Britain’s most watched current affairs program, “Tonight with Trevor McDonald.” During his tenure as a producer and executive producer, “Tonight” was recognized three times as Program of the Year by the Royal Television Society. 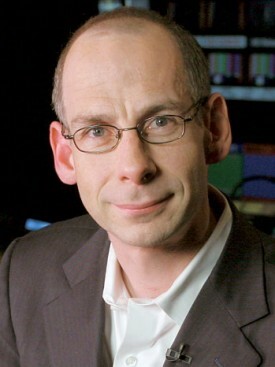 While James began his ABC career as a Senior Producer of primetime specials and investigations, he was swiftly promoted to Executive Producer of Nightline. At the time, many believed the broadcast had seen its best days – but James disagreed. Winning multiple Emmys, Murrows, and a duPont for the program’s coverage of Afghanistan, James helped re-imagine and re-invigorate Nightline. The audience responded with approval and the broadcast moved from third to perpetual first in Late Night. In March 2011, I asked James to take the helm at Good Morning America. Alongside Tom Cibrowski, he led the program on a dynamic new track. Thanks to their vision, and the work of our immensely talented anchors and staff, GMA will soon celebrate two straight years as America’s #1 morning program. In 2012, I again asked James to take on a new role as Senior Vice President responsible for content and development across the entire division. The results speak for themselves: GMA is enjoying its best performance in decades; World News just saw its best quarter in three years; Nightline has delivered the best numbers in 11 years in the time period; 20/20 is at a four year high; and This Week just posted its best quarter and longest winning streak over NBC in 16 years. During his tenure overseeing content, ABC News has won the highest honors in our profession, including division-wide Peabodys for coverage of Superstorm Sandy and for Robin’s Journey; five Edward R. Murrow Awards including the Best Newscast in 2012 for World News; a 2013 Emmy for Nightline; and two Cronkite awards. James’ appointment will build on our strengths and provide stability and continuity as I transition to my new role at Disney ABC.